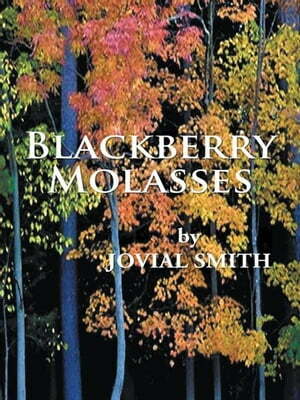 Collins Booksellers - Blackberry Molasses by Jovial Smith, 9781469781495. Buy this book online. The play Blackberry Molasses is an inspirational story about a young African American woman, Desera Harrison, who finds her voice through her writing. She struggles to find peace in her turbulent life. She begins building a life for herself in Atlanta, where she lives with her mother and fourteen- year-old twin sisters, Ebony and Traci. Shes also just reconnected with her alcoholic father, which has introduced a whole new level of uncertainty for the family. This is a remarkable play. The main character Desera Harrison decides to leave her past behind and peruse her dreams, to become a freelance writer for one of the largest newspaper publications in New York. Despite the many disappointments and heartaches that Desera and her family have endured they find strength through love, hope, and faith. This play explores themes of family, loyalty, and perseverance in the face of adversity and is written to encourage and inspire readers to pursue their dreams. From the beginning of Blackberry Molasses to the Epilogue one will see the significance of strength and perseverance illustrated through Maple and Blackberry Trees. Desera finds strength and perseverance through her writing.